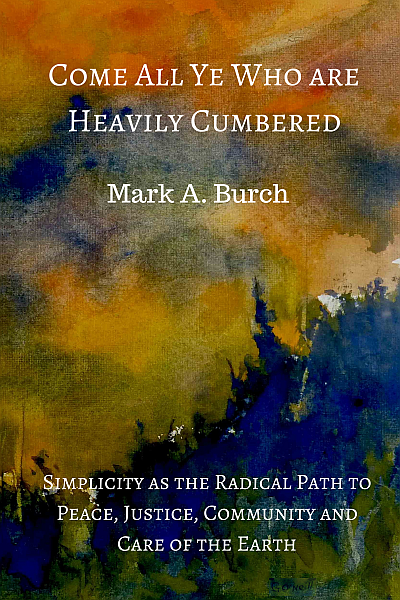 This is text of the Quaker Study Sessions for Canadian Yearly Meeting in August, 2014 where Mark Burch took us on a journey into simplicity. Since much of the violence in the world is structural in nature and is imposed on our behalf on distant others whose suffering is out of sight and therefore out of mind, Mark urges us to reduce it by cultivating personal and regional self-reliance through simple living. He explores how our lives have become encumbered, the spiritual roots of simplicity, and how we may regain it.